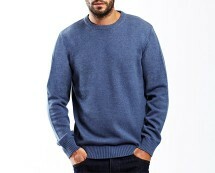 This Men’s Crew neck knit jumper is the perfect staple for any mans wardrobe, the style is classic and timeless and the design is very on trend making this a superb choice for any age. 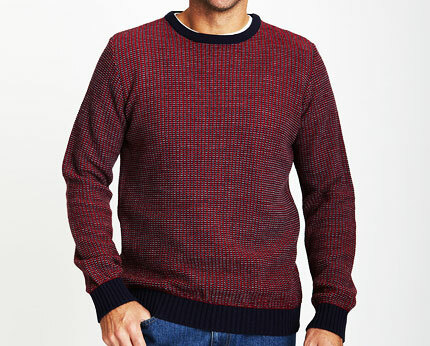 Stay cosy and cool this winter in this red and blue cross stitched effect knit, the two shades complement each other perfectly and the navy blue trim to the cuffs and hem is a striking contrast. The design is very on trend right now and the shape is a classic box style fit that will team nicely with anything. 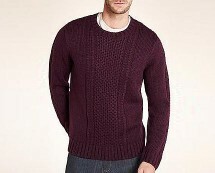 This jumper will easily see you through till spring! 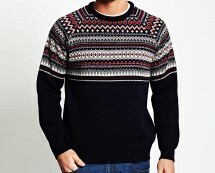 Spruce up your style in this jumper up with classic boat shoes, chinos or skinny jeans; a look that is very popular amongst young fashion followers right now! 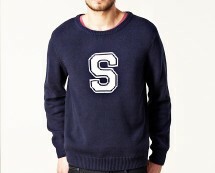 Otherwise team with denims for a classic smart day look for any age man! Smart enough of work or play, warm enough for winter!